The Momentum Trader 2 EA buys and sells depending on the value and direction of the Awesome Oscillator indicator. The Awesome Oscillator indicator is a popular technical indicator developed by Bill Williams. 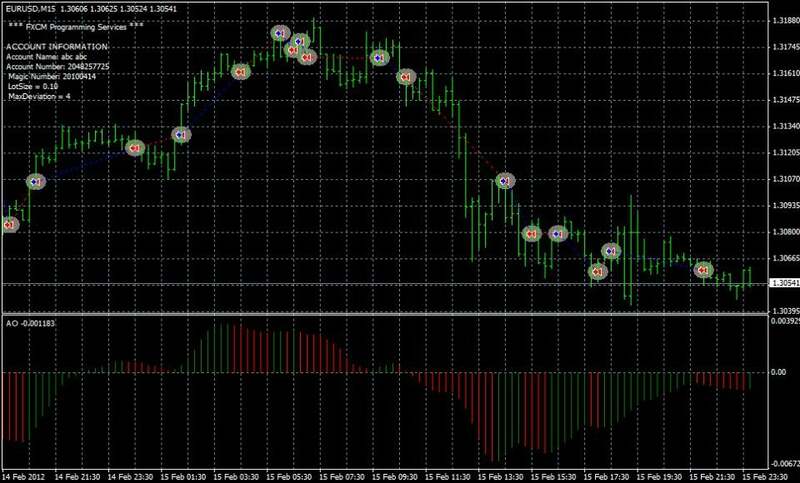 The indicator displays the current market momentum by plotting the difference between the 5-period simple moving average and the 34-period simple moving average. When the Awesome Oscillator indicator’s value increases, a buy trade is opened by the Momentum 2 Trader EA. Note: Used as an oscillator, this EA will always have a trade open (once the initial buy or sell trade opens). Trades close when the indicator’s value decreases, and subsequently, a new sell trade is opened. All trades open and close at the close of the current candle. Stops and limits are not used. When the Awesome Oscillator indicator’s value decreases, a sell trade is opened by the Momentum 2 Trader EA. Note: Used as an oscillator, this EA will always have a trade open (once the initial buy or sell trade opens). Trades close when the indicator’s value increases, and subsequently, a new buy trade is opened. All trades open and close at the close of the current candle. Stops and limits are not used.